Yeah, I was thinking about it, but this one solved the issues I had so I decided to go only FSM for now, maybe expanding in the future. Fantastic news. Will be purchasing then. 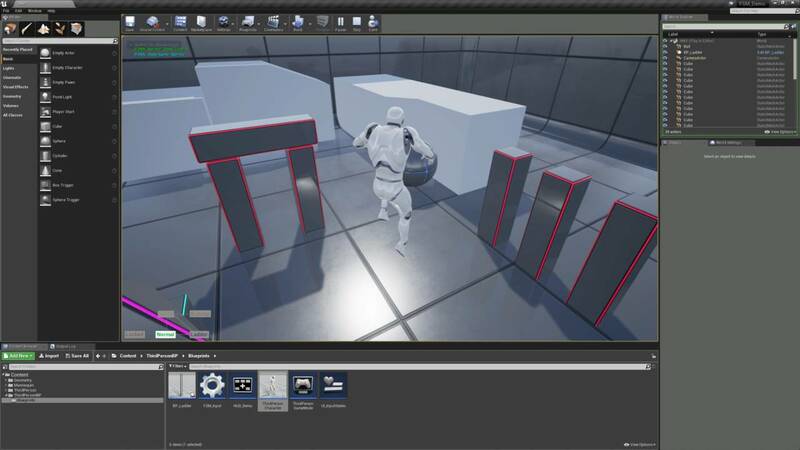 I found it odd that UE4 didn't have it by default, but thanks for the effort and the cost! 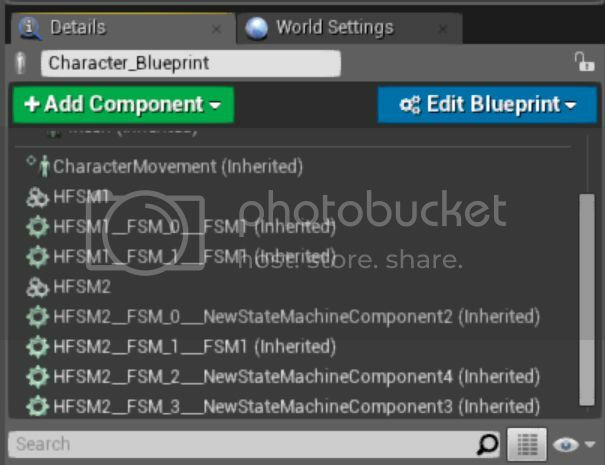 Yes, I believe they ditched out FSM because Behavior Trees were added (somewhat a HFSM) and for most cases FSMs are used for AI code thus Epic kinda of 'replaced' FSMs with Behavior Trees; but I wanted to convert Blueprint logic to FSM based and was hitting a lot of annoying issues so I've decided to give it a try and make my own. Today I will take some time and begin experimentations with Hierarchical FSM for Blueprints, see if I go anywhere useful with it. After some time playing around with workflows, I turned the simple FSM Component (which is the one published for now) into an spawnable Actor Component asset. Just like the components created when you use Add New -> "New Blueprint Script Component", these will be possible to be stored as Blueprint Assets (and will be possible to edit blueprint graphs on them as well). Tried a bit with concepts on HFMS... It works, but a limitation I came across is, FSMs created at runtime by the HFSM Component cannot execute any of their own Blueprint graph's functions; they spawn dependant on the HFSM Blueprint graph instead. Other than that, FSM graphs works just fine when attached directly to the owning Actor, not spawned by any HFSM class. The weird thing is that the underlying C++ routines still run for both cases, just Blueprint events are never fired when HFSM is the FSM owner. This is a somewhat comparison of the scenario I was talking, FSM vs HFSM functionality when the matter are Blueprint graphs. If HFSM is the owner, FSMs' BeginPlay or Tick in their own Blueprint Graphs will never fire although all components are registered. Well... This thing has honestly gone way beyond what I was expecting. I've pushed update to Gumroad for the devs already using it, but still misses documentation. * HFSM Component class have been carefully implemented. * Both FSM and HFSM Components can be stored as an Asset from Content Browser. 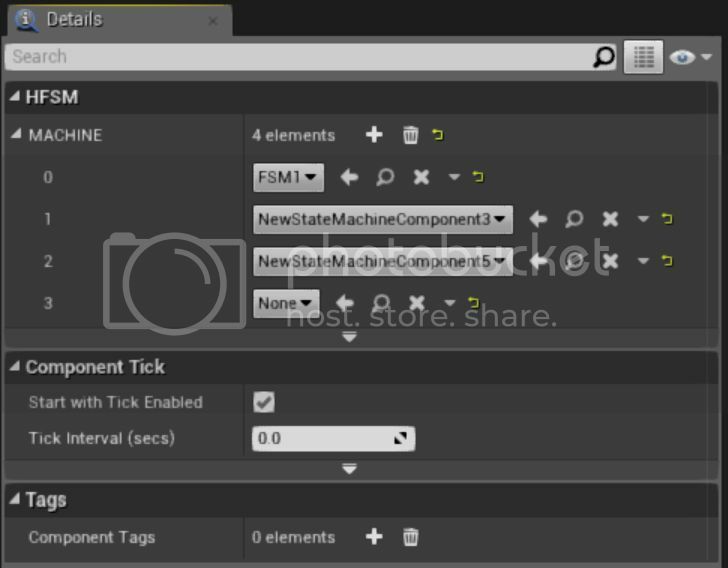 * When creating a FSM Component asset, it will be located under the "Custom" tab within the 'Add New' component button. * Do not add the same HFSM Component class twice to the same Actor. They overlap transient properties. * If a HFSM graph is needed more than once for the same Actor, duplicate the Blueprint to use it again as if it were a different Component. 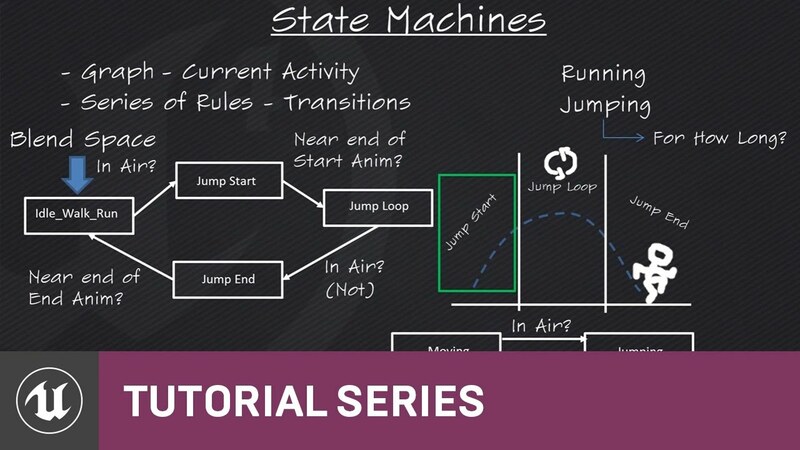 * Avoid using the same FSM class within HFSM Component owners as well. 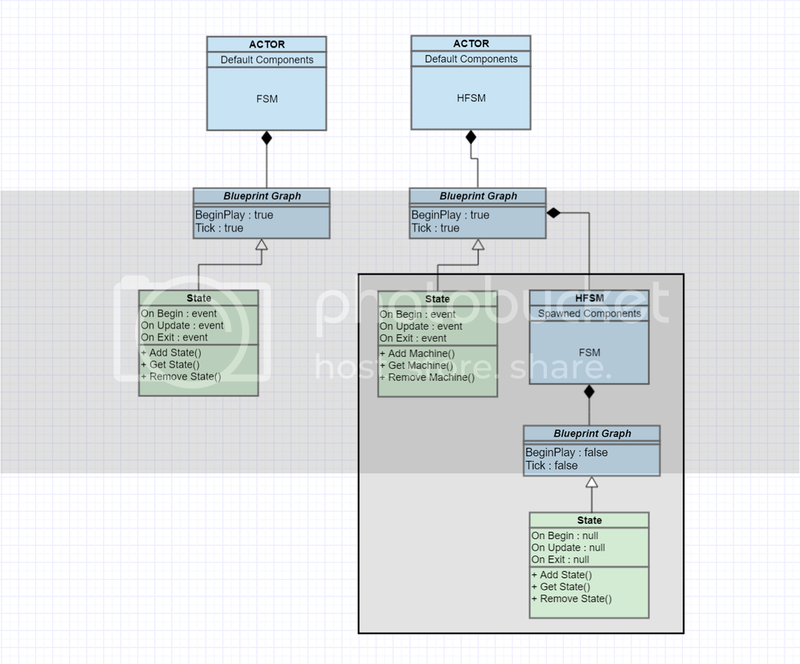 Duplicate FSM asset if the class is needed for the HFSM more than once. I've uploaded an update to Gumroad which includes a custom Editor Graph panel. Some was having issues trying to figure out FMS/HFSM relationships so I did a graph which automatically generates node trees based on the UComponent's list of FSMs/States. To open the visualizer, just push the "Visualize MACHINES" or "Visualize STATES" button on any selected FSM component, from its Details Panel. Last edited by BrUnO XaVIeR; 08-03-2016, 02:43 PM. This version has changed broadcasting Events signatures to include a 'Transition Rule' field; if you have blueprints with FSM/HFSM using old Event signatures instantiated in you levels, project loading may crash. If you're not sure that you've remove ALL FSM components from actors, before updating to last version, make a project backup before updating FSM plugin to 1.3.3! It would be nice to have some reference to a book or video about FSM vs HFSM to understand it better (for AI and for other things) or have a doc / tutorial for your plugin explaining the differences and which would apply better to difference real-life scenarios. That's really one thing that keeping me from using this plugin - how to use FSM/HFSM and when to use them (various scenarios in UE4). In my current project, for example, I use a lot of branches just to check stuff (if/else stuff) and I don't even have AI yet. Hi, yes; I have difficulty when it comes to "teach" stuff because I have zero experience as a tutor. But I am working on docs and will build some of Epic's default Character Controller tutorials remade to use FSM logic so developers will be able to compare by themselves. Last edited by BrUnO XaVIeR; 08-03-2016, 06:40 PM. I was surprised Epic didn't integrate a FSM template too. I will start to write a small tutorial today, as soon as I come home from work. And then show how easy it is to expand the controls with additional FSM States, adding double jumping capability and maybe also ladder climbing: without creating a single boolean variable for controller inputs! My main goal with this tool was always focusing on keeping the blueprint graphs as clean as possible. I wanted to get rid of all those junk variables scattering all over the place: if this, if that, bool here, branch that... this is not how I program in text code and it was annoying me a lot when using blueprints because it requires too many pointless variables to be created and managed. Will start making the tutorial today, promise! 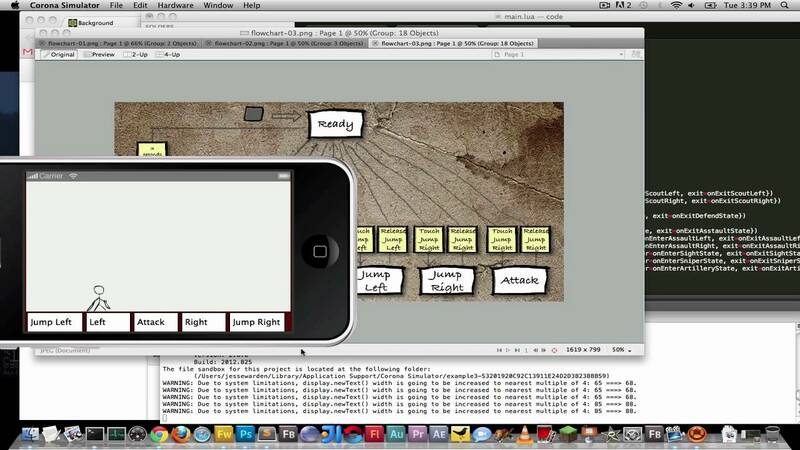 Okay; So, I've put together a little demo project with input controls based on FSM Component. It's a modification of the default 3rd Person game template to make the Character move and look around the same as before... plus it also can double jump and properly climb up a ladder, all based on FSM rules. Last edited by BrUnO XaVIeR; 08-05-2016, 09:08 PM. I am very interested in this plugin. 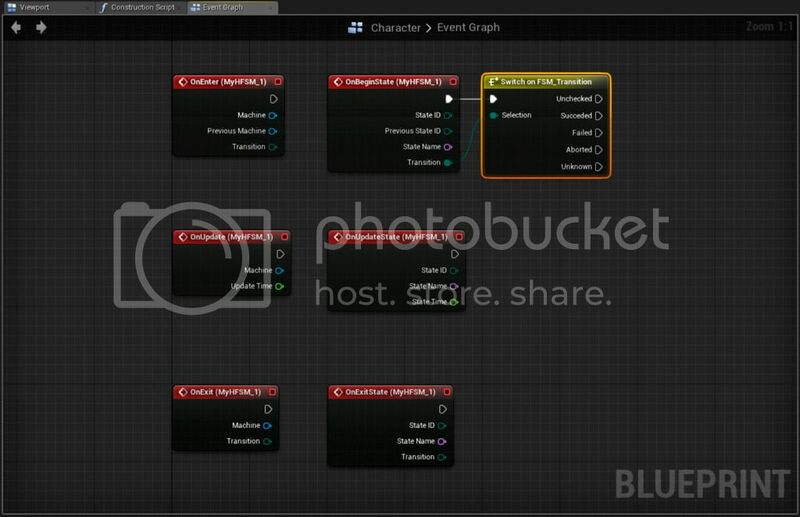 I also think this should be integrated in the UE4 core. Yes from what I've heard this have been asked for to Epic several times for the last 2 years, but for some reason the answer was always something along the lines: "-We don't have FSM for Blueprints, you would have to make your own FSM from scratch for this. "; I'm not sure why though. If not for that I would've submitted a pull request instead of making an addon for Marketplace.